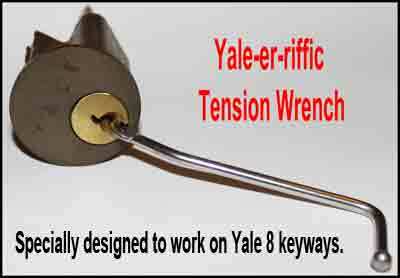 This is a nifty tension wrench made for the common Yale keyway, Y1, Y2, and such keys. (Yale 8). We have a limited amount of these in stock.